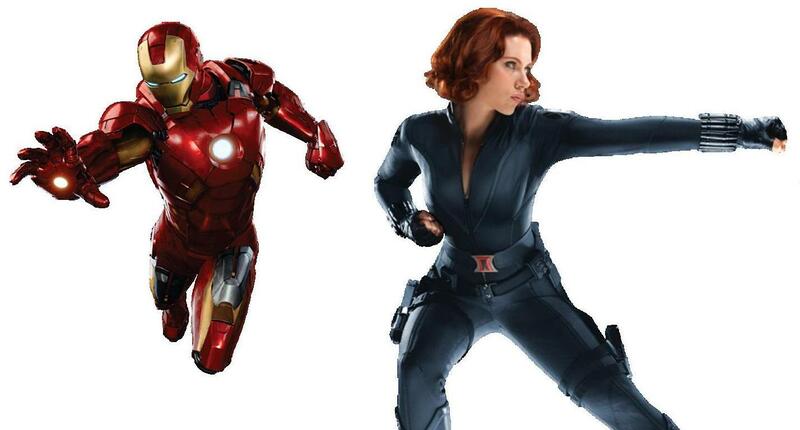 Iron Man - Black Widow. . HD Wallpaper and background images in the The Avengers club tagged: the avengers. This The Avengers fan art contains hip boot and thigh boot. There might also be ngực, che chở, egis, bảo vệ, breastplate, and aegis.